Who wants to leave behind their pooches when traveling? Especially not when going to the Caribbean Islands! Traveling with dogs is like traveling with kids, minus the whining and diaper changing. But it’s fun nonetheless. Whether you wish to cruise or fly over the Islands, don’t let your little buddy miss out on all the fun! However, they need some potty training and paperwork before going on the vacation of a lifetime. Customs at any airport can be exhausting and annoying. They won’t go easy on you just because you have a cute little thing traveling with you. Caribbean Islands are very welcoming to dogs, except for Saint Lucia’s inhabitants. They are in fact afraid of dogs. On the other hand, people from the French islands of Guadeloupe and Martinique absolutely adore them. Caribbean Airlines have their own set of guidelines when it comes to flying pets. Before you embark on your fantasy getaway, consult with the embassy to meet all the necessary requirements. The Airlines will refuse to have dogs in the cabin or as baggage. Your only choice is to have them in the Caribbean Airlines Cargo. Almost all the countries in the Caribbean Islands are determined to prevent the outbreak of rabies and other diseases carried by imported pets. Some will ask you for a ton of paperwork, others are quite lenient. Your dog will be quarantined for 6 months and vaccinated for rabies if you’re traveling to Jamaica. Barbados, on the other hand, is part of the Pets Travel Scheme, and they welcome pooches with open arms. Despite all that love, your dog will be quarantined for 6 months if it doesn’t have a passport, veterinary certificate, and import license. They even have to be vaccinated, blood tested and treated for flea before traveling. Dogs being imported from countries other than the UK, Jamaica, Antigua, St. Lucia, St. Vincent or St. Kitts-Nevis need to be quarantined for 6 months as well. Martinique is one of the friendliest countries to go about with your dog. The embassy gives you easy access to its vast natural reserve if they’re assessed and certified with good health free of diseases. Your dogs will need a health certificate issued by a vet to travel to these places. The certificate should not be older than 2 weeks. The rule here is the same as Puerto Rico. But the certificate cannot be older than 10 days. Doggies need to be quarantined for 6 months to explore the Vincentian waters. Before entering Trinidad and Tobago, dogs must be declared to Customs. The Veterinary Service Divisions will issue a permit so that your pooch can have fun in the islands. In addition, your dog will also need an Importation License 3 months before traveling to the Caribbean paradise. Unfortunately, dogs can’t walk or play on dry land. Don’t change your plan because of this though. Try doggie backpacks when traveling in countries with heavy restrictions. St. Lucia’s people are so afraid of dogs, they have laid some tough rules for our little friends. You’ll only need permission from the Agricultural Department to get your dog in here. Easy peasy lemon squeezy. People here are big on controlling the spread of rabies, so they have rules to prevent this. Dogs from the US and Canada are the reason for the outbreak in this region, so they must go through vaccination and checklist to have access. Snorkeling gear, swimsuit, and goggles won’t do for your Dino or Fluffy. Finding the right food for them may be a challenge, so it’s better to pack some extras with you. Check with your vet in advance before traveling since you may not find a vet nearby when Dino or Fluffy is sick. Pack up with flea sprays and get a pet CPR training as soon as possible. A lot of pets go missing while traveling. Registering your dog with GPR and getting it a microchip will give you a peace of mind. Pet Import Permit is required wherever you travel in the world with your dog. If you’re traveling from the States, you’ll need the USDA Form 7001 for your dog. If you’re from the UK, it needs a UK Passport to take trips. Furthermore, if you’re going to take your pet buddy on yachts and boats, you must be prepared for a ton of paperwork. Lastly, some other essentials for your dog on tour are water, leash, first aid kit, safety restraints, tags, vaccination records, health certificates, blanket, and toys. It seems that dogs need more paperwork than us in order to travel, but don’t give up so easily. At least you don’t have to worry about them consistently when you leave them for a business trip or a social trip. Consider all the cost associated with asking your neighbors and friends to take care of them while you’re away. In the meantime, if you’ve been lazy about your dog’s health checkup lately, you have a chance to get them done before the trip. Despite the hassle of getting Dino and Fluffy through Customs, trust me they will be grateful for the experience they’ll be having in the Caribbean Islands. Have fun and make lots of memories. And Instagram A LOT! 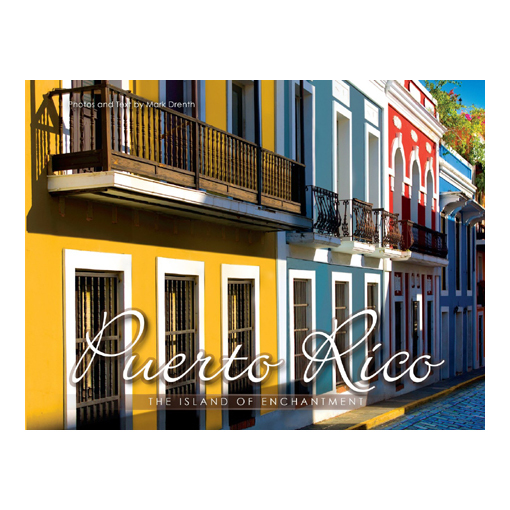 This entry was posted in Caribbean Lifestyle, Puerto Rico, Travel. Bookmark the permalink. 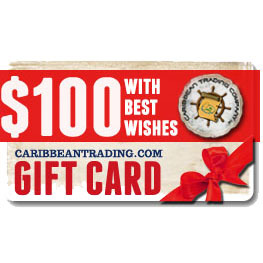 Captain Tim is the founder of Caribbean Trading Company in Puerto Rico. Many years ago Captain Tim was a normal everyday guy who decided to do what so many people only dream about. He moved to the Caribbean. Traveling throughout the islands, he has the joy of sharing this lifestyle and its flavors with the world.